I love the new art but man I really miss that old VH1 art. Thanks for sharing! That's a nice one. But will you be selling the larosa HW2 cover??? Added this VEI cover to my collection this week! Nice find, Dan. Love that cover. Corey asked me for pics. 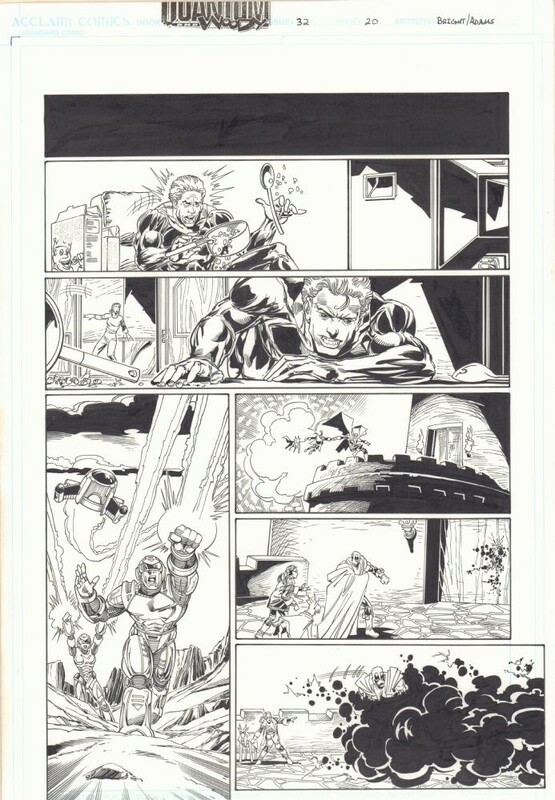 This is pages 1, 2 and 4 of Archer and Armstrong #1. I know who owns page 3, the coveted first appearance of the Boon... not sure if he'd want me to reveal that for whatever reason. They're not very good pictures, apologies. That SonicDan guy has all the good stuff. Thanks. I'm pretty sure I will never own it. But it's in good hands. I believe you also have page 13, IIRC. Hmm. Page 13. Not sure I own that. Did you mean 16 and 17 of Archer and Armstrong #0, perhaps? I stand corrected. You have a good memory! Yup, that's the one. And I managed to get page 4 of that same issue. I couldn't pass this one up! 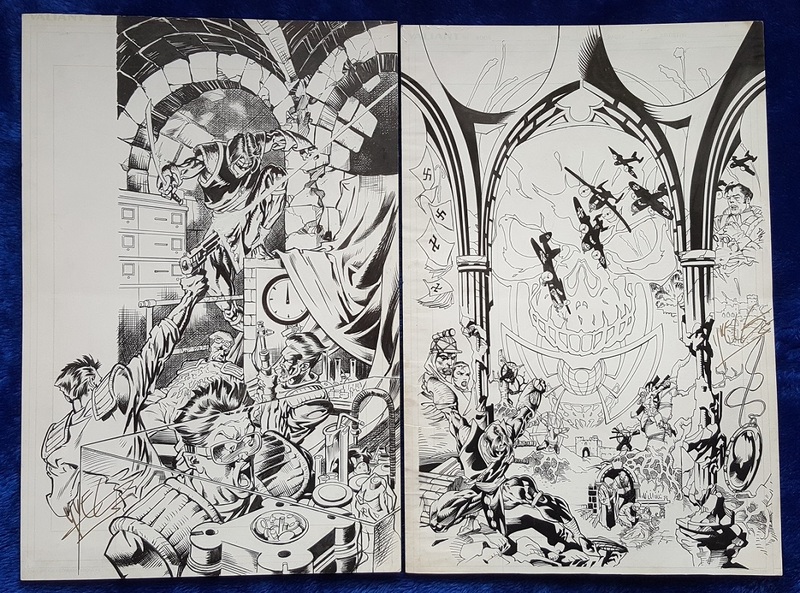 Picked up recently from Yvel Guichet. It's been a while since I've acquired an original V1 cover so I'm glad to add these to the collection! I picked this one up recently too. I realized I did not have any Mark Bright Q&W art. 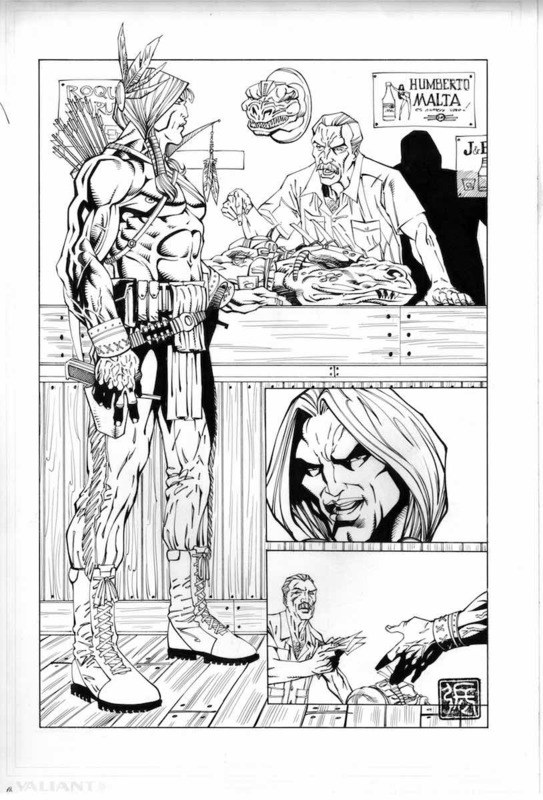 Inks Greg Adams and it's super clean! This was the issue where Acclaim resumed publishing Q&W in 1999 after a break of over a year. I guess this is considered VH-3 along with Shadowman V3, Armorines V2, and Unity 2000 (probably some Turok stuff too). I like they were attempting to still do a shared universe line. I grabbed this one for its Armorines appearance along with a small panel featuring the goat! Some nice pages you've got there. I appreciate you trying to keep this thread going. 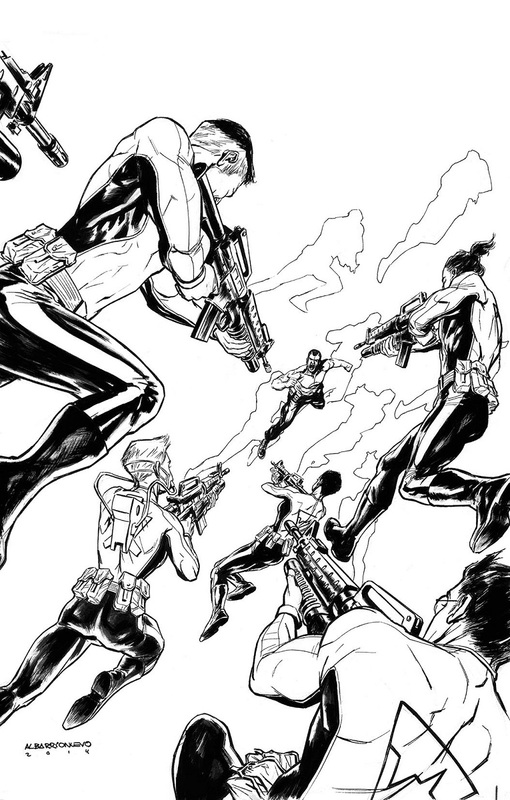 I haven't picked up any Valiant art in a while. I should probably get on that. Seems like there's been a bit of a lull lately. I've been doing an updated inventory on my collection. 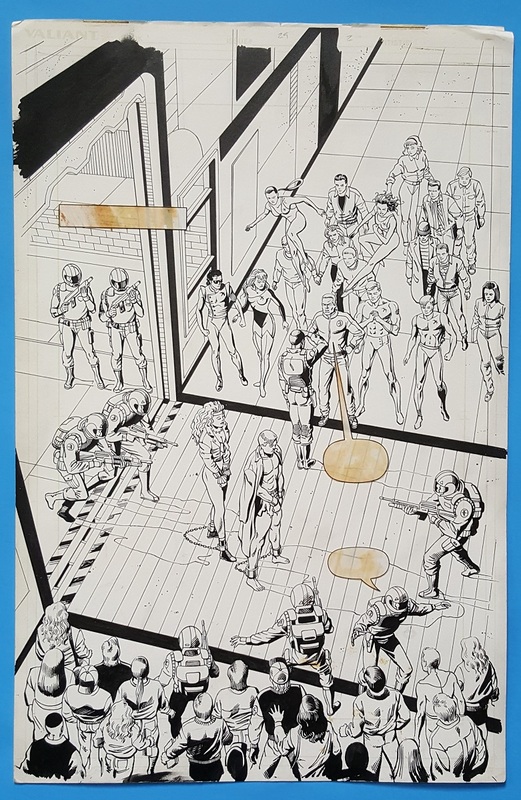 Been nostalgic for classic Valiant lately. All three of those are great, but I really dig the Bloodshot piece.